The Public Service Commission (PSC) is the agency responsible for regulating our electric utilities. Utilities are monopolies (you don't have a choice in which power company you get electricity from in West Virginia), so the purpose of regulation is to prevent them from charging exorbitant rates and reaping excessive profits. Any time that a utility wishes to engage in an activity that will affect ratepayers (like invest in a new power plant or start offering energy efficiency programs), they must get approval from the PSC. 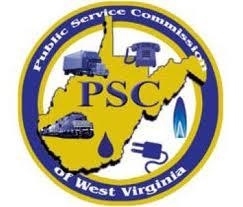 Utilities may also request a rate increase from the PSC if their current rates are insufficient to cover their costs. Any such proceeding before the PSC is known as a “case” and operates similar to a court case. The Commissioners act as judges; there are 3 commissioners appointed by the governor. The utility presents arguments in support of their position, and the Commission Staff (analogous to a public defender) request information from the utility and offer testimony in support of their position. Other parties can also intervene by petitioning the PSC to allow them to intervene. Once involved in the case, these interveners can also request information from the utility and provide testimony to the Commissioners in support of their position. Individuals can represent themselves without a lawyer at the Public Service Commissions (organizations like EEWV must be represented by a lawyer). Individuals can also participate in cases by submitting public comment. Learn more about how you can participate in PSC hearings here. Read about current PSC cases here.